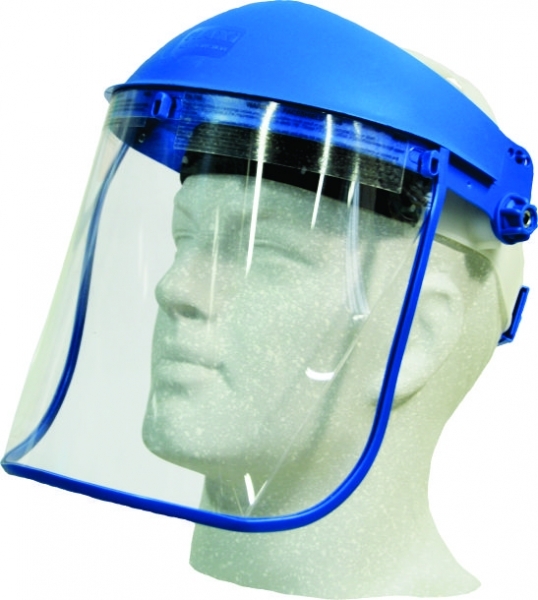 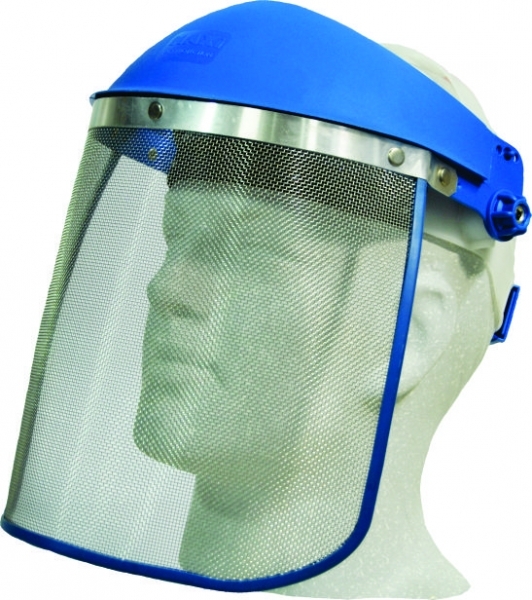 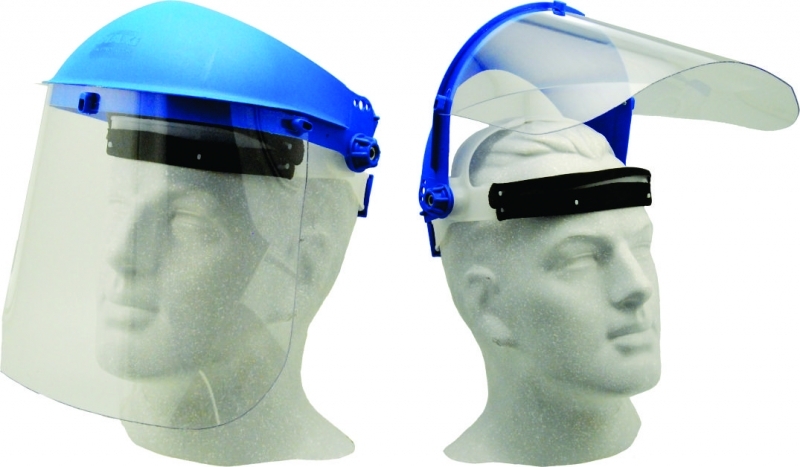 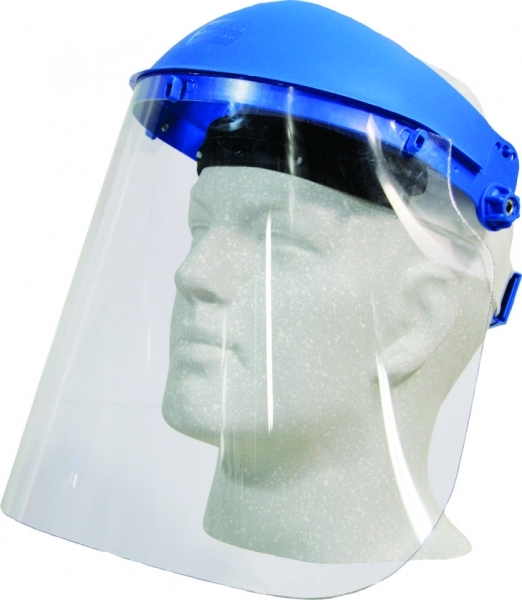 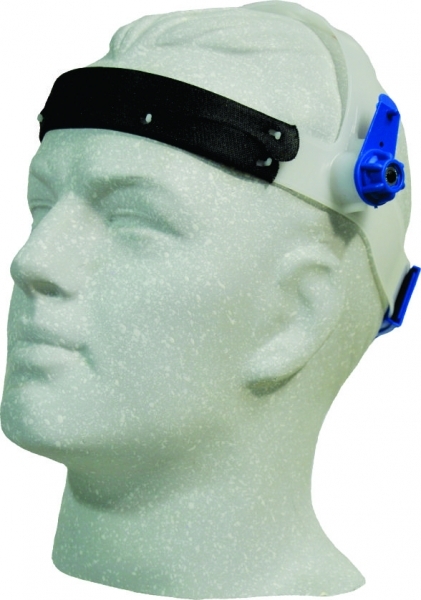 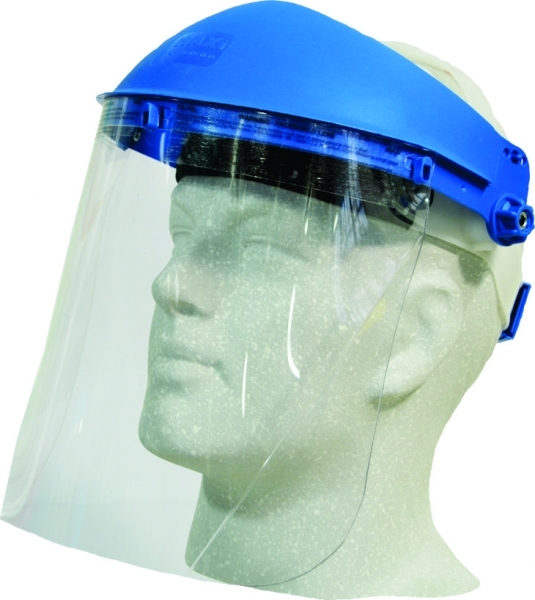 Browguard and headgear, cap/hat clip on and chemical resistant face shields. 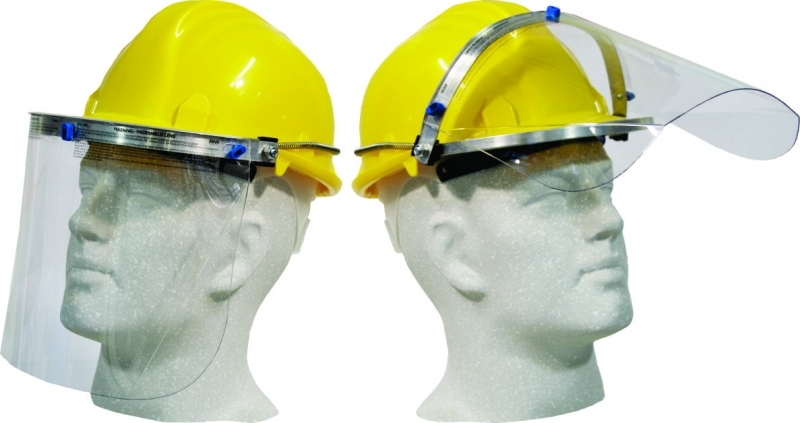 Clear and green lenses. 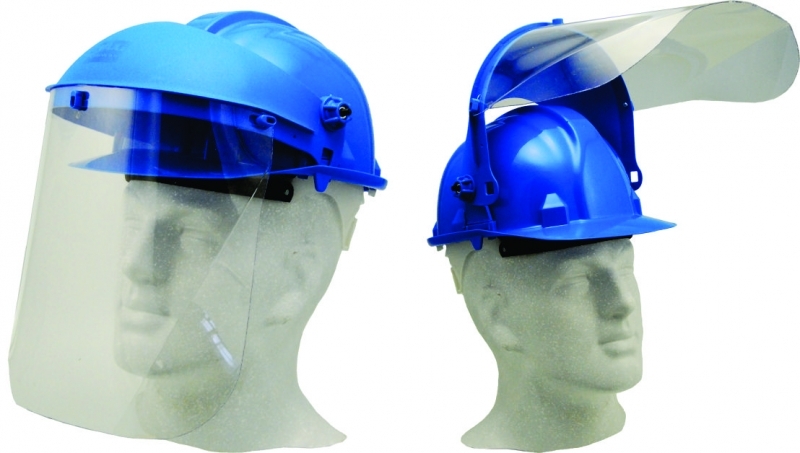 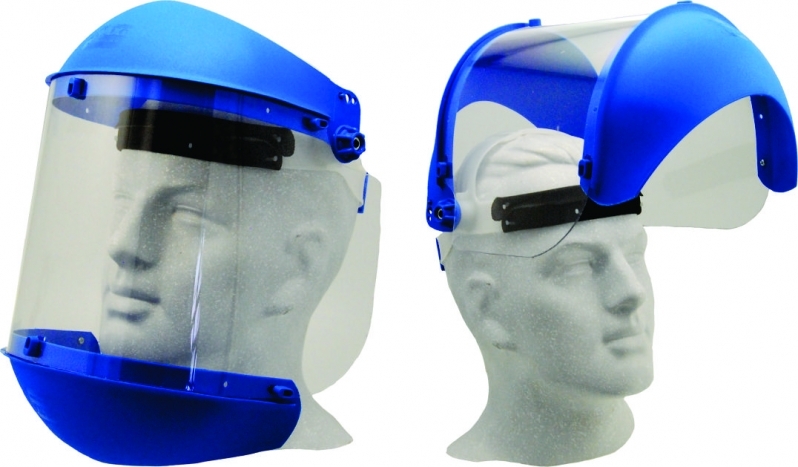 Short and long aluminium cap/hat attachment face shield holders. 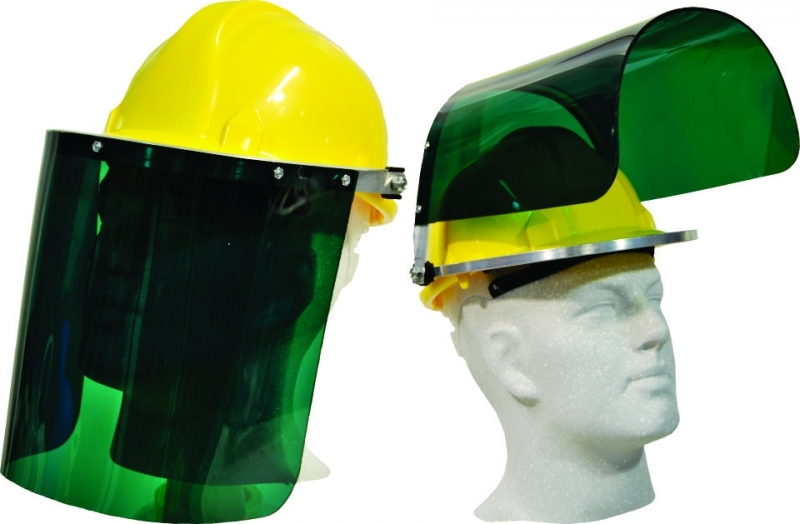 Fiberglass head gear with 3mm clear poly carb lens and green strip. 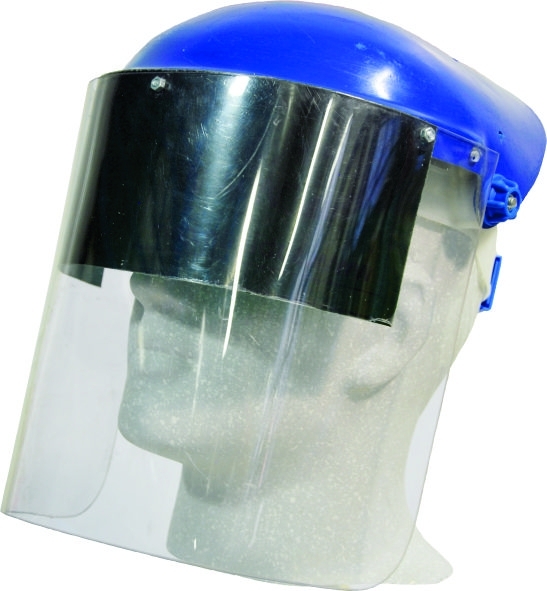 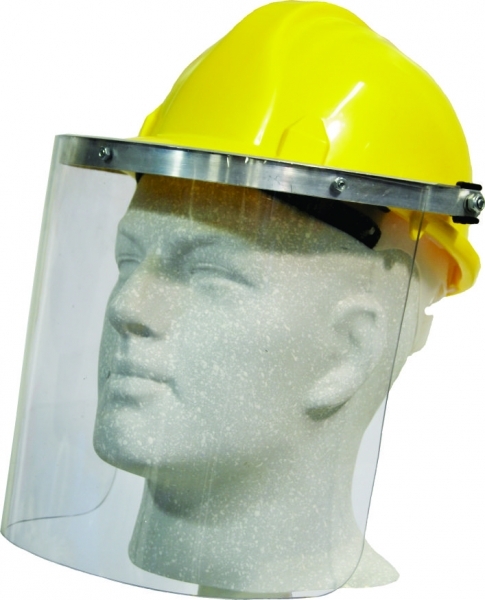 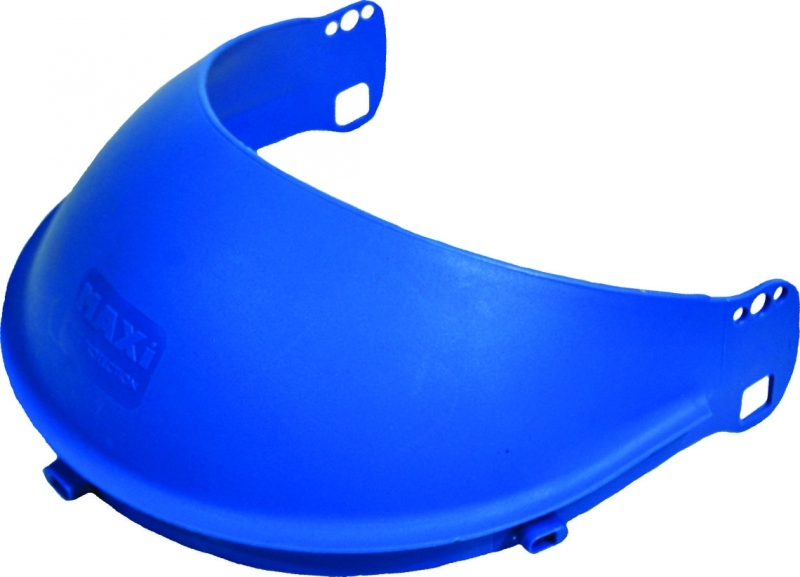 Fiberglass and vinyl face shield with regulator.